At the VCCI Headquarters in Hanoi, Vice President of the Vietnam Chamber of Commerce and Industry (VCCI) Dr Doan Duy Khuong hosted a meeting with a Finnish business delegation led by Deputy Minister of Economic Affairs Petri Peltonen on his first working visit to Vietnam, with the aim of boosting business cooperation between the two countries’ enterprises and seeking investment and business opportunities in Vietnam. Dr Khuong said, Vietnam currently needs to develop wastewater and waste treatment, energy and education, and Finnish companies are very experienced in these fields. 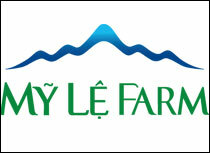 Over the years, many cooperation programmes in these fields have been effectively carried out. The expected adoption of the Vietnam - EU Free Trade Agreement will help Vietnamese companies boost exports to the Finnish market, as well as to the EU. Mr Petri Peltonen said that the visiting delegation is constituted by 20 big and prestigious Finnish businesses seeking to cooperate and do business with Vietnamese partners, like developing innovation and start-up ecosystems, information technology, smart cities, energy, clean technology and education. Finnish innovative solutions and technologies will attract the attention of Vietnamese partners and authorities seeking sustainable economic and social solutions. “The Finnish Government also wishes to work with VCCI to facilitate the two business communities and promote mutual trade and investment,” Peltonen said. 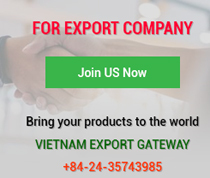 The two-way trade has grown positively in recent years, to US$328 million in 2016 and US$458 million in 2017, of which Vietnam earned US$165 million from exports to the European nation and spent US$293 million on imports from it. However, the bilateral economic cooperation is still modest. Vietnamese exports to Finland include coffee, rubber, footwear, apparels, handicrafts, wooden products, bicycles and spare parts. 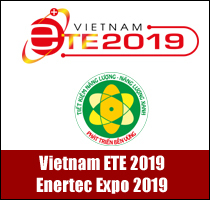 Meanwhile, Vietnam imports machinery, equipment, information and communication devices (accounting for 80 - 85 per cent of the total value), inputs for garment, textile and leather production, plastics, electrical equipment, steel and iron. Finland now has 17 effective investment projects with US$21 million of registered capital, ranked 68th out of 116 countries and territories investing in Vietnam. Cooperation in education and innovation is a highlight in Vietnam - Finland cooperation. 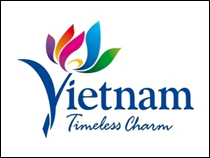 The two countries have effectively implemented new projects in the form of ‘preferential loans and public investment’ in education, forestry, innovation, clean technology, smart city, information management, water management and health care in many provinces of Vietnam such as Hanoi, Lao Cai, Hai Phong, Da Nang, Quang Tri, Ho Chi Minh City, Binh Duong, Kien Giang and Ca Mau. 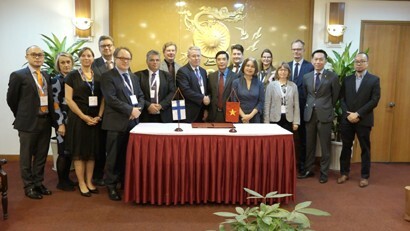 Notably, Vietnam is one of eight countries in the world and one of two in Asia to be selected as a long-term partner in Finnish development cooperation. Finland has contributed a lot to Vietnam in recent years, with typical projects including Pha Rung Shipyard in Hai Phong City (funded US$46 million since 1985), Hanoi water supply system construction and upgrading project, and Hai Phong water supply system restoration and expansion project. In addition, the European nation has extended its support to other sectors such as forestry, rural development, poverty reduction, culture and energy. Desiring to facilitate development, promotion and diversification of trade ties, economic cooperation and cultural relations between the two countries’ business communities, VCCI and the Finnish Chamber of Commerce (FCC) signed a cooperation agreement. Accordingly, VCCI and FCC will support their member businesses in a variety of trade and economic activities, including joint investment, business and production and delivery of support services, assist their members to enforce free trade agreements to which Vietnam and Finland are signatories, particularly the forthcoming EU - Vietnam FTA, and regularly exchange economic information, trade and province policies. 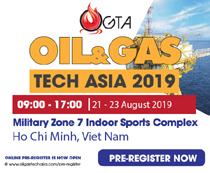 In addition, the two sides will lead business delegations to study and research the market; organise economic and trade workshops, business negotiations and other necessary business activities; and provide information on major international exhibitions and trade fairs to promote bilateral trade and services.